Researchers Dr. Ivan Kempson and Dermot Henry announced on June 19 in a press conference at Australia’s Melbourne Museum that the beloved Australian racehorse Phar Lap ingested a massive, fatal dose of arsenic approximately 35 hours before his death. Phar Lap died in California on April 5, 1932, just days after his only North American race. The mystery of his death has defied resolution for more than 75 years. Kempson and Henry first received permission to take six strands of Phar Lap’s mane in 2005. Preliminary results released in October 2006 suggested that he had ingested arsenic, but there were no similarly preserved horses to compare the results to – to determine if the arsenic was actually from the taxidermy process. After additional funding came in from the Victorian Government, the final experiments were performed using hair samples from four newly available horse specimens preserved using arsenic. Whether the fatal dosage was accidental from trainer Harry Telford’s homeopathic tonics (his recipes were known to contain arsenic and strychnine to stimulate appetite) or from an intentional poisoning by an outside is not known. Groom Tommy Woodcock was serving as temporary trainer stateside, caring for Phar Lap while Telford remained in Australia, and Woodcock may have accidentally poisoned his beloved charge with the tonic. It has also been speculated for decades that bookmakers who would lose money from a horse that won so reliably did not want Phar Lap to continue his racing campaign in the United States and might have ordered his death. 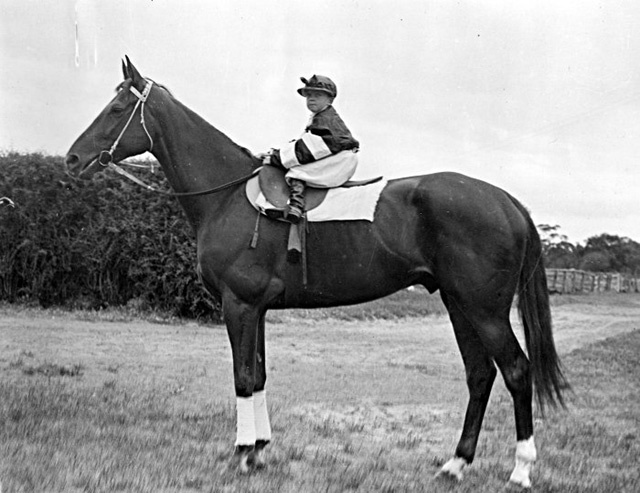 Phar Lap was foaled in New Zealand, where he was purchased in 1928 by Telford. He went on to win the 1930 Melbourne Cup, Australia’s biggest race, and 37 of his 51 starts, including the Agua Caliente Handicap in Mexico (the richest race in North America at the time), before his death at age 5. Phar Lap’s hide was preserved and is on display at the Melbourne Museum. His skeleton is on exhibit at the Museum of New Zealand, and his heart is kept at the National Museum of Australia in Canberra. See also Arsenic Killed Phar Lap.